The Manchester Film Festival has teamed up with WorkMobile in a bid to create a more interactive experience for its audience. 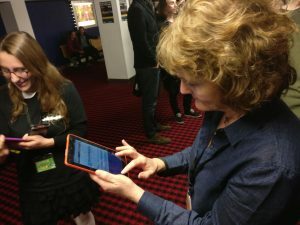 The annual four-day festival, which celebrate the best in independent films, has invested in WorkMobile’s mobile data capture solution to encourage more people to get involved in its ‘Audience Choice’ award. As the winner of the ‘Audience Choice’ award is based solely on viewer votes, attendees in previous years have had to go online to cast their votes for their favourite film. However, in a bid to reduce time and effort, organisers have adopted a speedy data capture solution to obtain the views of attendees after the screening. Attendees can now quickly enter their nominations at the end of each film via simple digital forms that are available on iPads situated around the venue. This information can then be easily collected and analysed, making it simpler to determine the overall winner of the award. Neil Jeram-Croft, director of operations at the Manchester Film Festival, said: “Interacting and engaging with our audiences is crucial to the success of our event. It’s for this reason that our ‘Audience Choice’ award was originally created - to encourage people to get involved and share their thoughts on the material they’ve just seen. “Having said this, it became clear to us that our previous method of collecting nominations needed improving on, so that we could achieve higher levels of engagement. This is where the WorkMobile solution has helped to create a much more interactive experience for our attendees, and people are now more willing to supply their nomination." Manchester-based WorkMobile was founded in 2001 as eSAY Solutions Ltd and rebranded as WorkMobile in 2015. The business now turns over £1.3million.